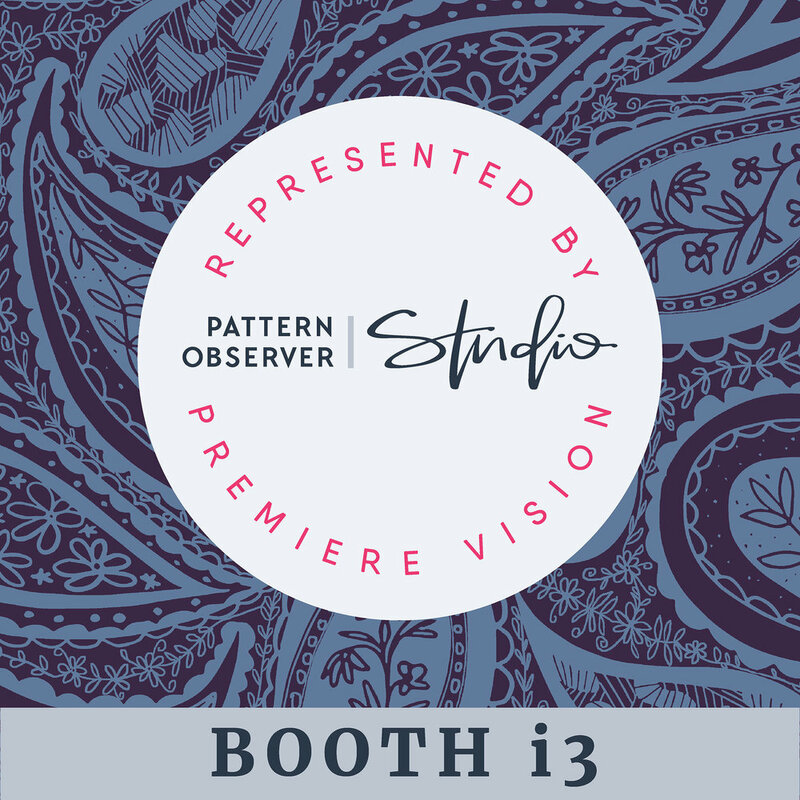 We are pleased to announce that a select group of our surface pattern designs will be shown at the 2019 Premiere Vision Show in New York this week. We will be represented by Pattern Observer Studio and their agent Melissa Schultz of Branded Licensing. It is an honor to have our designs selected for representation. Can’t make it to the show but like what you see? Get in touch with Pattern Observer Studio directly and inquire. Based on the work I saw from my fellow designers, you won’t be disappointed.